Biochar – how to help save the planet from global warming by burying charcoal instead of burning it. Stuff a big metal can full of wood and seal the top. Punch some holes in the cover. Throw the can into a blazing fire and soon the wood will start to heat up inside the can. The water will turn to vapor (at 212F). Other compounds will gasify (at 300-500F) and all of the oxygen in the can will be replaced by the gases. They will escape from the holes in the top and ignite as they hit the fire outside. This process would continue until all of the volatile compounds in the wood were exhausted. What you will find when you open the can is the charred remains of what went in. It will look like a smaller, completely burnt version of the original. You will have created real charcoal. The “charcoal briquettes” sold in your local supermarket or hardware store are most likely not real charcoal. Most of them contain some charcoal (ground up into powder and then reformed), but they also contain filler elements such as wood dust, “brown coal”, chemical additives, limestone and borax (go here for more details). Look instead for “natural lump” charcoal. Although the quality may vary from brand to brand, this is the real deal and you can find it specialty markets and even in most Walmarts. Make sure it doesn’t say “briquettes” on the bag though. If it looks like chunks of burnt wood, you know you have the real thing. So all that being said, what does biochar have to do with charcoal? Well, all biochar is charcoal. But not all charcoal is biochar. 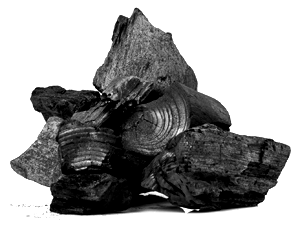 By most accounts, the biochar story got started with the discovery of terra preta. It is a fascinating, compelling and inspiring tale that you can read about in detail here. Since this account contains elements crucial to the understanding of biochar, I will give you a shortened (and less accurate) version of the story. Pizarro, having conquered the Inca Empire and being ensconced in Peru, heard rumors of El Dorado, the lost city of gold and decided to go for it. Although he probably knew that El Dorado might be a long shot, there was something more tangible and just as valuable (at the time) that might be discovered along the way – nutmeg. So he sent one of his henchmen – Francisco de Orellana on a mission to find it. The mission was a lofty one – cross the Andes and find a feeder river into the Amazon and navigate (through uncharted territory) downstream. Although the mouth of the Amazon had been explored and settled by the Portuguese, no one had made it very far up the river and lived to tell about it. It was a treacherous and deadly journey and although thousands died (mostly native slaves) along the way Orellana and a few dozen of his men managed to get through. Although he didn’t find El Dorado or for that matter any nutmeg, he discovered something even more surprising, significant and potentially invaluable – a lost civilization. There were miles and miles of villages connected to large cities by man-made roads that reached far inland. There were farms, common languages, social hierarchies – all fundamental traits of a successful civilization. Not all the natives were friendly (literally hostile female Amazons among others) and Orellana barely made it back to Spain to tell his tale. He, of course, generated a lot of interest with his story and eventually secured investment for a return venture probably seeking and promising conquest rather than merely further exploration. However, he never made it back. It proved to be much harder to travel up the river than down it and this time, his adversaries were better prepared. Orellana and his entire crew had perished before they reached their goal. Unfortunately, it wasn’t until almost 90 years later that Pedro Teixeira, a Portuguese explorer, was able to make it all the way up the Amazon (the first European to do so) and what he found along the way was… nothing! No thriving cities, no farms or villages, no grand cities or roads, only small war parties from hunter-gatherer tribes living very simply in the rain forest. Orellana’s story was soon discredited and chalked up to being a big lie told by an overzealous explorer saying what he needed to say to fund his next expedition. Almost 300 years later, after the development of modern science (anthropology, archeology) new evidence began to appear that seemed to support Orellana’s claims. The archeological establishment countered with a new argument based on their large body of studies and findings. There could never have a thriving civilization in the Amazon rain forest as the new discoveries suggested because the soil there is so poor. Now most people, myself included, would find this hard to believe. Our image of the Amazon rain forest is that of tall, lush trees and vegetation, warm, moist organic richness – the very model of fertility. And yet, those scientists are correct – the Amazon rain forest is known as a “wet desert” and the soil is as poor as anywhere on earth. It is only by the constant dropping and rapid composting of massive amounts of organic material and the protection of the canopy that there is any usable soil at all – and that soil is less that 8″ deep. Because of the high heat and frequent hard rain, if this top soil is ever exposed (because of deforestation) it will quickly be degraded and washed away, leaving only the original heavy clay soil, which lacks essential components for healthy crop growth. And without good soil, there is no agriculture (on a large, local and sustainable scale). And without agriculture, there can be no civilization. That much, everyone agrees is true. In the 1980’s, with the advent of satellite imaging, distinct patterns became visible in the areas of Orellana’s claims. Curious (and open-minded) archeologists renewed their efforts and soon irrefutable evidence emerged which proved that indeed a complex civilization had once thrived there, just as Orellana has described. But how then was this possible given the soil was irrefutably unsuitable for agriculture? The answer was that not all soil in this region was the same. 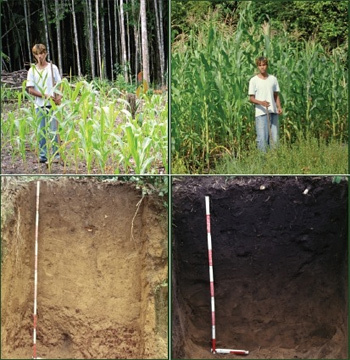 The areas that were assumed to be farmed had a markedly different soil composition. Even in the sectors exposed by deforestation, the earth was dark, rich and fertile up to six feet deep, even centuries after it had been last used! It was at first thought that this was a geological anomaly – silt from an old riverbed, random mineral deposits – but on further examination, it was quickly concluded (the soil contained pottery shards) that this soil was in fact created intentionally by the humans that had lived there. This created an explosion of interest in the scientific community. This discovery was no less than a technology that seemed to transform the poorest soil into a fertile mixture that could last centuries under the harshest of conditions. This unique soil was called terra preta (Portuguese for “black earth”) because of its dark, rich color. Environmentalists and soil scientists scrambled to decipher the “recipe”. There were, of course, the pottery shards, thought to be added to make up for the mineral deficiency of the soil. There were traces of animal and human waste and other organic matter, not unlike our modern compost pile. But the most important ingredient, the most unexpected and proportionally dominant ingredient, the “secret sauce” of this whole discovery, was – have you guessed it? – charcoal. Charcoal has two unique properties that explain all this, and I will be discussing that in the next section. But before we do that, I can imagine that you might be wondering – what ever happened to Orellana’s Amazonia? Why then was there nothing for Texiera to see? No ruins, monuments, etc.? The simple answer is that diseases introduced by Orellana and his men decimated the population (as was the case so often) and they never recovered. The survivors reverted to a more simple way of life that continues to this day. As for the architectural legacy, there is not much rock or stone in this part of the world, not enough to build with at least. All structures were made of wood or brush which was quickly consumed by the climate and eventually reforested over (90 years is plenty of time for that). It was only the landscaping and pottery (and terra preta) that centuries later finally gave up the secret. But why didn’t the survivors recreate their fertile environment? Did they forget the formula for terra preta? There are still remote tribes in the region doing a similar practice. Perhaps there was no visionary or leader to rebuild and revive the glorious past. That answer to that has not yet been discovered. Charcoal has (at least) two distinct properties that make it (among other things) a unique and effective soil amendment. It is non-biodegradable. The pyrolysis process radically transforms the basic structure of woody biomass so that it cannot be broken down – like most other organic matter – by bacteria or enzymes. Charcoal can theoretically stay intact and functional for millennia (remember that terra preta was at least 500 years old when discovered). 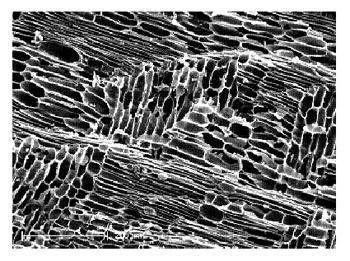 It contains, even in a tiny particle size, a vast surface area created by a composition of layers of microscopic tubes, giving it a honeycomb structure and appearance. These little “domains” give shelter to beneficial bacteria, microbes, and fungi that are essential for healthy soil and plant growth. They also absorb and retain water and essential other nutrients critical for the soil web. Modern day miners and merchants of terra preta claim that it is a “living soil” – and when properly harvested, it will grow back within ten years! 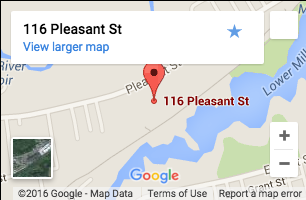 Property #2 would explain this. Charcoal, though it doesn’t directly contribute any chemicals, nutrients or imitate any active processes, simply by its structural nature becomes a conduit, facilitator, and agent for all kinds of crucial organic reactions in the soil. Its recalcitrant nature (#1) let it enable these processes indefinitely. These are just some of the findings from the research done since the role of charcoal in terra preta was revealed. Other natural and anthropologic (human created) soil deposits rich in charcoal have been discovered and researched. The fertile “bread basket” of America has a very high carbon content though to have been created both by pre-settlement fires and the periodic burning of grasses by Native American tribes. And that brings us to a third essential quality of charcoal – it is carbon. Depending on how it was made, it will contain up to 90% carbon. This represents 50% of the carbon in the original biomass and 20% of the transformed CO2 that the plant originally captured from the atmosphere. If used as a soil amendment, and since charcoal does not degrade, that charcoal and it’s carbon value can be considered “sequestered” and is permanently removed from the carbon cycle. Climate change, a challenge of global importance, is arguably the most crucial issue of our time. It is a crisis that has occurred because there is too much gas in our atmosphere that is absorbing the sun’s infrared radiation that the Earth reflects every day. Instead of dissipating beyond our atmosphere, too much of that radiation (heat) is trapped by those gasses and our atmosphere and climate have been thrown out of thermal balance. The excess of gases that are causing the problem did not occur naturally but are there because of the overuse and combustion of fossil fuels such as oil, coal and natural gas – in other words, a human-created problem. The gases primarily responsible are carbon dioxide (CO2), methane, nitrous oxide and fluorinated gases. CO2 makes up the largest component (80%) of this mix. The carbon cycle, biochar, and their place in the climate change debate are best explained in this presentation by Hugh McLaughlin. Hugh is a well-respected expert on biochar and the foremost authority on quality and testing. His work has inspired much of what is discussed below. If this cycle can be disrupted – and that is our intention by making charcoal and sequestering it – carbon can be returned to the earth and remain there indefinitely. Charcoal is perfectly suited for this process because of its unique properties discussed above. It is composed mainly of carbon. The high temperatures used in charcoal production transform it into an extraordinarily stable substance that will not degrade for thousands of years. 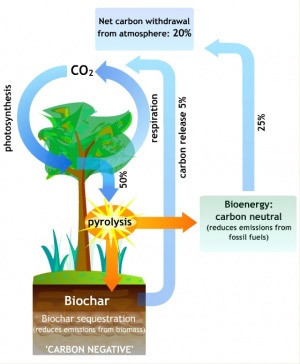 If correctly processed, biochar will create a synergy with the soil and its many components to both increase plant growth and health (creating more photosynthesis and eventually more biomass to pyrolize) and increase the soil carbon content by encouraging the growth of bacteria and microorganisms that are part of the “living soil“. So we can use charcoal to disrupt the atmospheric carbon cycle and capture and sequester the excess carbon trapped in our atmosphere (in the form of CO2). However, this is only part of the solution. Since we (humans) are still burning lots of fossil fuels, there are greenhouse gases continuously being added to the atmosphere. That is parts per million currently in our atmosphere. 350 ppm is what scientists believe the level must be reduced to sustain life as we know it. 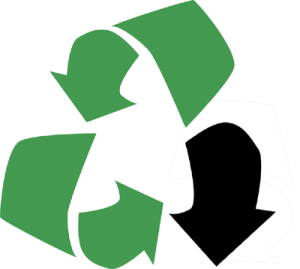 Reducing, reusing and recycling are not enough to do that. To stop that counter and reverse it, we need to uncycle the excess CO2 that is already up there (and continues to be added). Biochar can help do that. Biochar: A solid material obtained from thermochemical conversion of biomass in an oxygen-limited environment. Biochar can be used for a range of applications as an agent for soil improvement, improved resource use efficiency, remediation and/or protection against particular environmental pollution and as an avenue for greenhouse gas (GHG) mitigation. In addition, to be recognized as biochar, the material has to pass a number of material property definitions that relate both to its value (e.g., H/Corg ratios relate to the degree of charring and therefore mineralization in soil) and its safety (e.g., heavy metal content). To paraphrase – charcoal that has a high enough carbon content and does not contain anything harmful can be called biochar. It can be used as a soil amendment, a filter of toxic pollutants and a way to help the climate change crisis by removing greenhouse gases from the atmosphere. Note: The IBI goes on to define char, charcoal, and other variations and components of the biomass burning process some of which don’t align with how they are used on this website. The IBI is the source and keeper of this information and their definitions should be considered as a final reference. However, for the purpose of making things easier to understand in the context of the broader subject of this site, I have been much looser with my terminology.